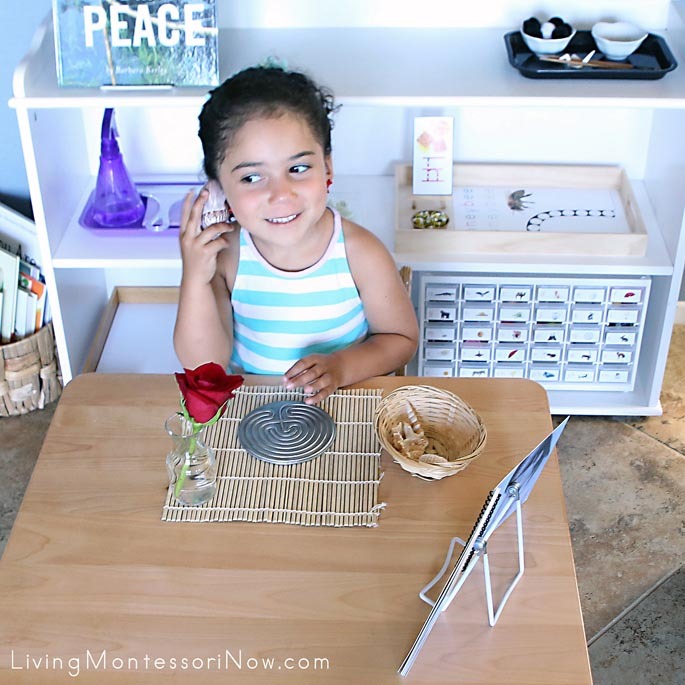 I love using and reviewing Montessori Services products. My 3½-year-old granddaughter, Zoey, is my reviewing partner. 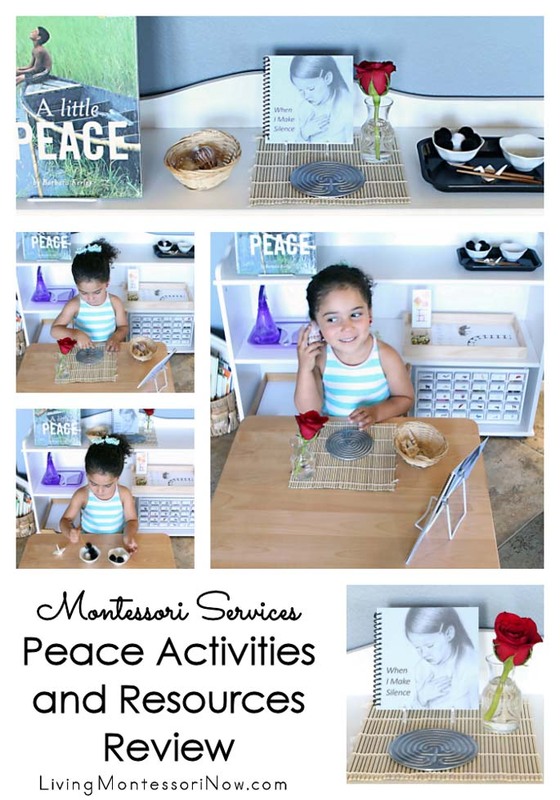 Today, you can see our peace activities using Montessori Services peace activities and resources. 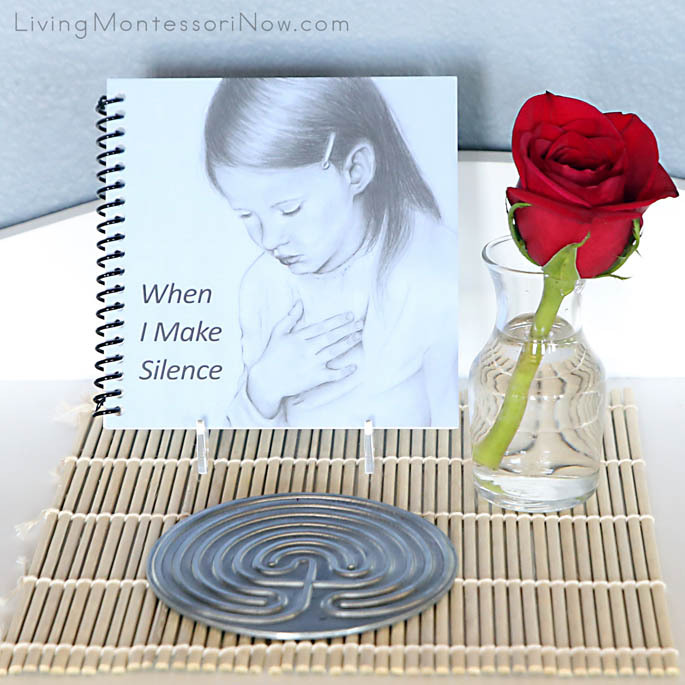 Disclosure: I received approximately $50 worth of peace materials from Montessori Services in order to provide an honest review. 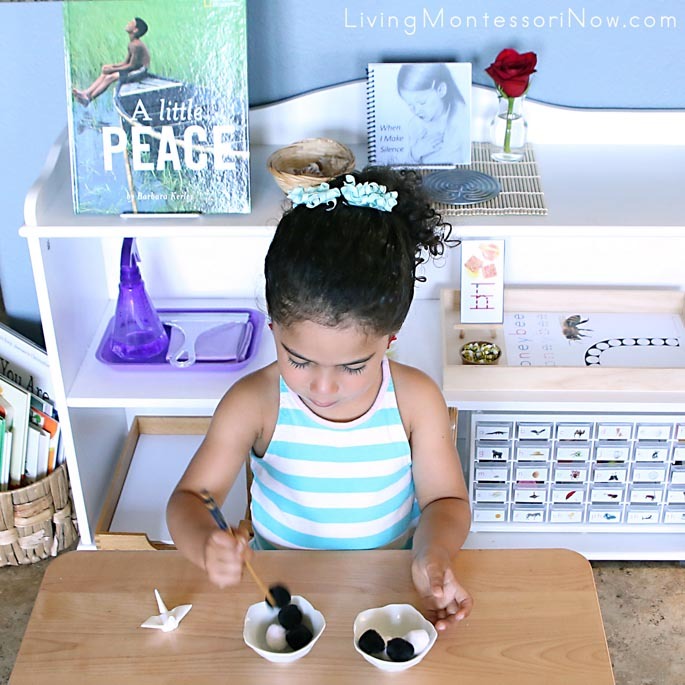 In recent years, I’ve purchased a number of Montessori Services peace materials on my own, too. I was not required to write a positive review, and any opinions expressed are my own. This post contains affiliate links (at no cost to you). 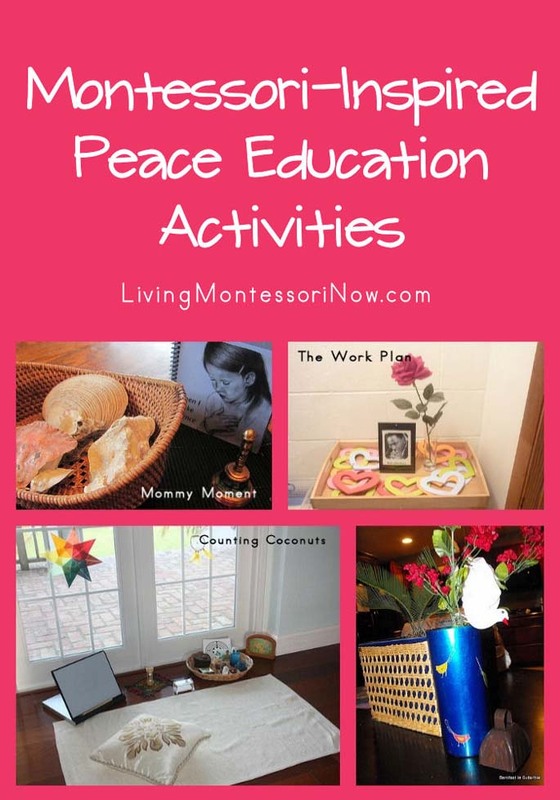 Montessori Services has many peace activities and peace resources. 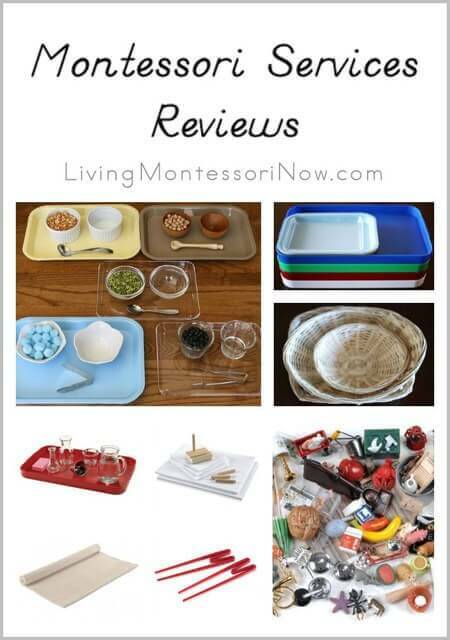 This review just covers a few of them … the ones currently on my Montessori peace shelf. 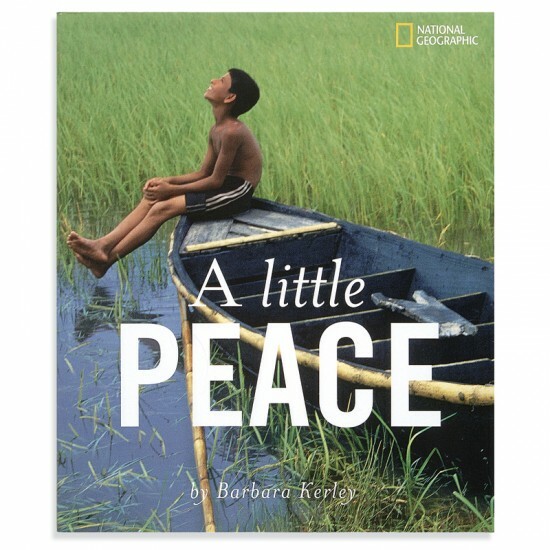 A Little Peace by Barbara Kerley is one of my very favorite peace books. It’s a National Geographic children’s book with amazing photographs and few words. At the back of the book, there’s a map with the country and explanation of the activities in all the photos. The book is wonderful for toddlers on up. I often like to place a small globe (such as the Montessori continents globe) beside the book as an added geography activity). I love that this can be part of a larger peace area or a complete peace activity for a small space. On the peace shelf next to the mat, I added some seashells in a Montessori Services bamboo potato basket to go with the book. I added the rose to introduce the concept of the peace rose. Tracing the labyrinth path is an ancient meditation form often described as a path to wisdom and peace. Cradle the labyrinth in one hand and run a fingertip along the grooved path with the other. Because labyrinths are right-brain activity enhancers, tracing a labyrinth path is calming for adults and children. They are commonly used as a tool for personal reflection, psychological and spiritual transformation, and comfort. A labyrinth, unlike a maze, has only one path. It is unicursal — the way in is the way out. Labyrinths crafted from a variety of materials can be found in many sizes and shapes. Versions are used by schools, churches, hospitals, and businesses to calm the mind, revitalize the spirit, enhance problem solving, build community, and aid in stress reduction and healing. Lovely for a quiet corner, the small size will appeal to young children, who may place it on a table or other flat surface to trace. Made of pewter-plated metal; 4″ dia. Includes drawstring bag, color may vary. Ages 4 and up. I also reviewed a bamboo placemat (standard-size table mat). This is lovely and would be great for a larger peace area, snacks, nature materials, mat rolling, or a variety of other activities. Add an Asian touch to transferring activities! 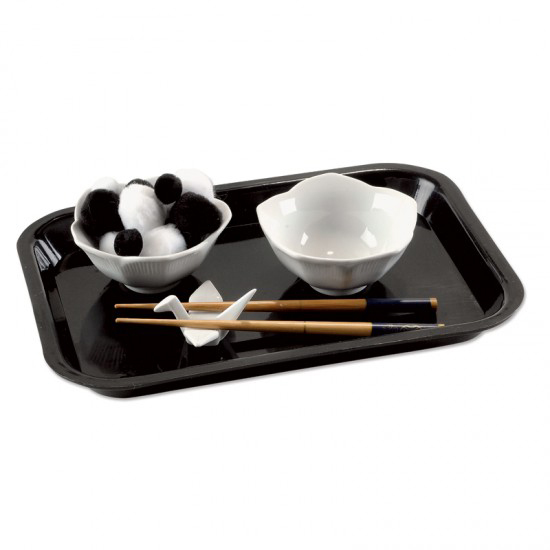 After becoming proficient using chopsticks to transfer pom poms, children may want to try more challenging items, such as dried beans or pasta. Eventually, they can try use chopsticks at a meal. 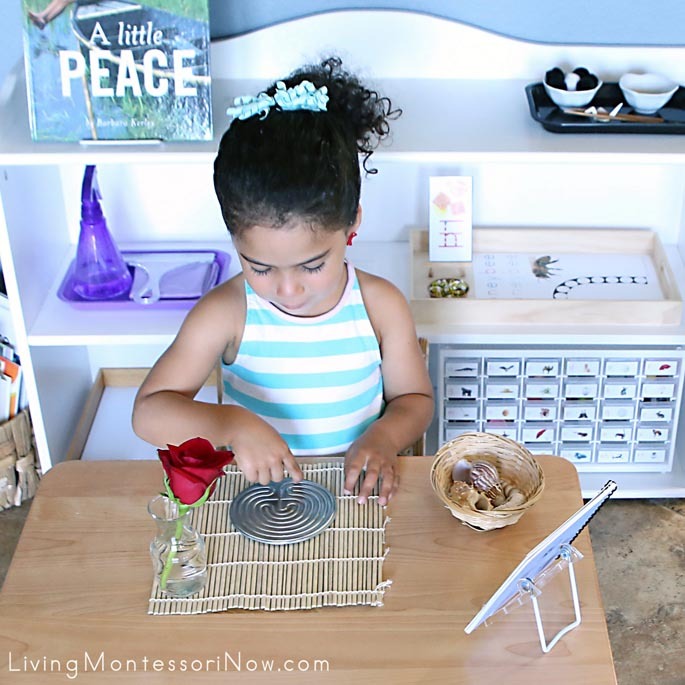 This is a gorgeous way to introduce chopsticks once children are comfortable with tools such as the Montessori Services quick sticks. The activity can be purchased separately or together. When purchased as a set, it takes only a few minutes to prepare. Zoey was immediately drawn to the labyrinth when she saw the peace materials on our shelf. We both love it for its small size. It’s a beautiful material that would be great at home, in the classroom, or on the road. And it isn’t just for children. It’s perfect for a meditative activity for many ages … even adults. Zoey was also immediately drawn to the peace crane porcelain chopstick rest. She absolutely loves the look and feel of it. Using a chopsticks takes a lot of coordination and practice. I had never learned how to hold chopsticks properly, so I used a YouTube video to teach myself! Then I showed Zoey the technique. She did amazingly well for her age and first experience transferring objects with chopsticks. With the peace crane porcelain chopstick rest, it’s a beautiful activity to add to a peace area. 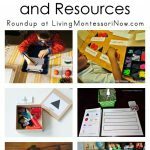 As always, I love these Montessori Services products! They’re fabulous materials for both homes and schools. 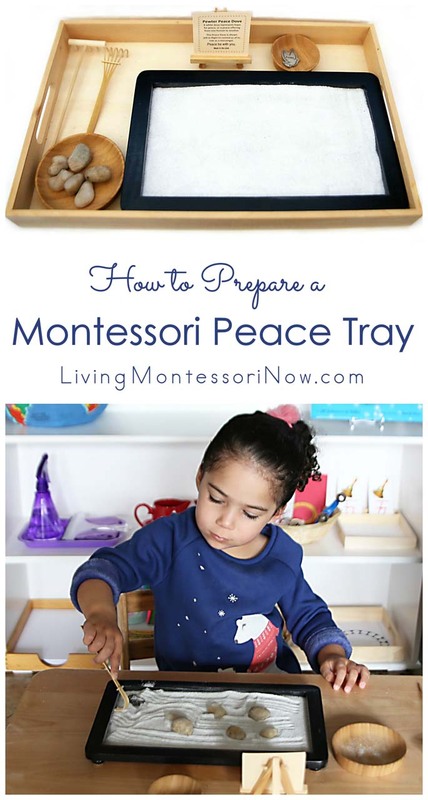 “How to Prepare a Montessori Peace Tray” has a number of Montessori Services peace materials, too. 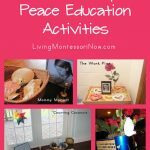 You’ll find many more Montessori-inspired peace education activities here. 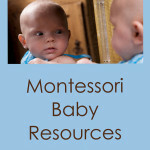 For a list of my previous Montessori Services review posts, see my Montessori Services Reviews. Montessori Services $50 Gift Certificate Giveaway! The giveaway is closed. 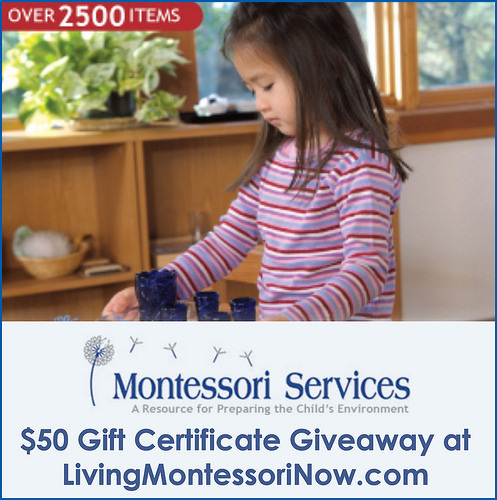 I’m excited to host this giveaway of a $50 gift certificate from Montessori Services, one of my very favorite Montessori suppliers for home or school! 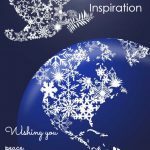 If you’re from the U.S. or Canada, this is a great time to have fun checking out the amazing online catalog at Montessori Services. What You Will Win: 1 lucky winner in the U.S. or Canada will win a $50 Montessori Services Gift Certificate! This giveaway is open to anyone 18 and older in the U.S. and Canada. The first entry is mandatory. You must leave a blog post comment telling why you want to win the $50 Montessori Services gift certificate (and be sure to click the green “ENTER” on the Rafflecopter form to let me know you left your blog post comment and to open up the optional entries)! You must complete the Mandatory Entry to qualify for any additional entries. The giveaway closes 9:00pm PST on Wednesday, June 26. Best of luck! Congratulations to Rebekah, thanks to everyone who entered, and very special thanks to Montessori Services! Be sure to check out Montessori Services for awesome products for the new school year at home or in the classroom! Thank you for posting this giveaway! I am homeschooling my twin pre-schoolers and we try to incorporate Montessori methods in our learning. Anyone who wins this prize will definitely be able to add more resources in teaching their kids better. I like the 3 boards of education. What a great addition they would be to our home! 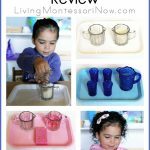 I’m looking forward to using Montessori methods to teach my special needs daughter. This gift certificate would help me collect tools to teach her well. My cousin has a young child and I know she would love this! This would be great for helping me teach my preschooler in a Montessori way. I am about to transition my son to Montessori Elementary from Primary and need to get a bunch of new materials. A $50 gift certificate would help! I love the Child Size Masterpieces curriculum. I have the first three books and plan to buy the fourth and fifth soon. Thanks for the giveaway. 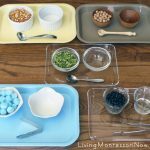 Would love to try some of the materials from Montessori Services. I’d love to win this to provide my three year old with some new activities to keep him occupied as we welcome a new baby into the family! I like the yoga movement set!